Why We Need iPhone/iPad Restore Tool? Now you may be wondering why you need an iPhone restore tool. After all, you can just restore your device to factory setting using your iTunes. You can even use your iPhone if iTunes is too much stress. However, what you don’t know is that your data doesn’t get 100% erased in a normal iTunes or iPhone restore operation. Some element of the data still remains and even though you can’t view it on your iPhone, it’s there, and recoverable by those who know how. The best way to get rid of this data permanently? Yeah, you guessed right. With an iPhone restore tool. But which are the best out there? Which one guarantee you the best return on your money and great features to boot? We’ve compiled a list of the top 3 for you. The 3 iPhone restore tools we will discuss are all available for Win and Mac. There are many iPhone restore tools out there. But with these three, you are guaranteed maximum value for your money. iMyFone Umate Pro is the market leader when it comes to securing iPhone privacy. It is an ultimate iPhone data eraser that lets you completely restore iPhone to factory default settings, leaving no tracks. When you wipe your iPhone with Umate Pro, you don’t have to worry if it’s fully gone. You can rest assured that it is 100% unrecoverable. Umate Pro is fully compatible with iOS 12. Everything is erasable: search history, call history, iMessages, contacts, notes, voice memos, WhatsApp, WeChat, Viber, Kik, etc. Step 1: Open Umate Pro. Connect your Apple device to your pc. You will be directed to the its homepage. Step 2: There are four erasing options available on the Umate Pro homepage. Select the “Erase All Data” tab and click “Erase”. 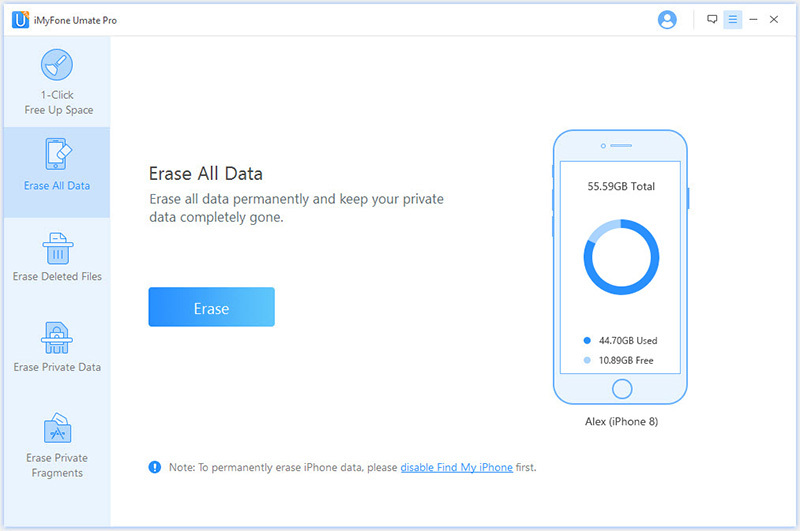 If you want to restore iPhone data selectively, select Erase Private Data. If you want to view what deleted data still remains and completely wipe it, choose Erase Deleted Files. Step 3: On the next page, you will see a Security Level tab. You can click on it and choose the suitable level. Then type “delete” into the box. 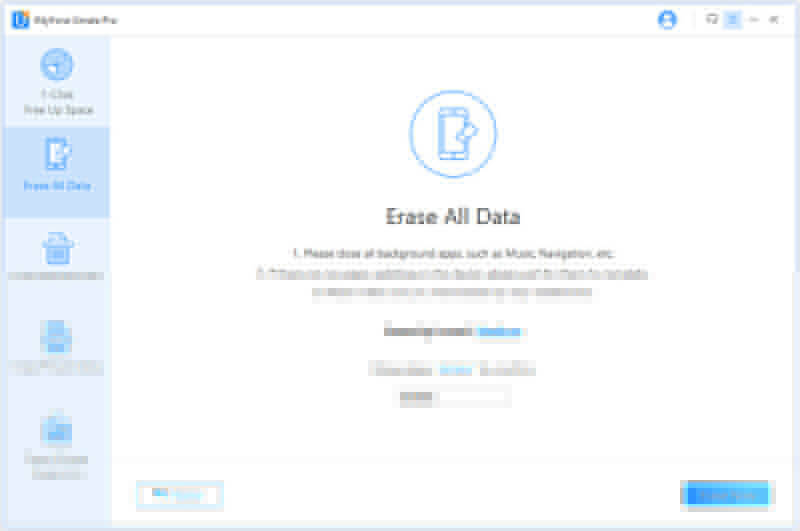 Click the “Erase Now” button to erase all the data on your device. iMyFone Umate Pro has also been recommended by lots of professional software review sites, including getintopc.com, MacWorld, APPKED, etc. PhoneClean provides all the cleaning, management and privacy needs of your iPhone in one easy to use package. It helps you efficiently manage the process of restoring your iPhone so you don’t have to grow old waiting for your iPhone to restore. 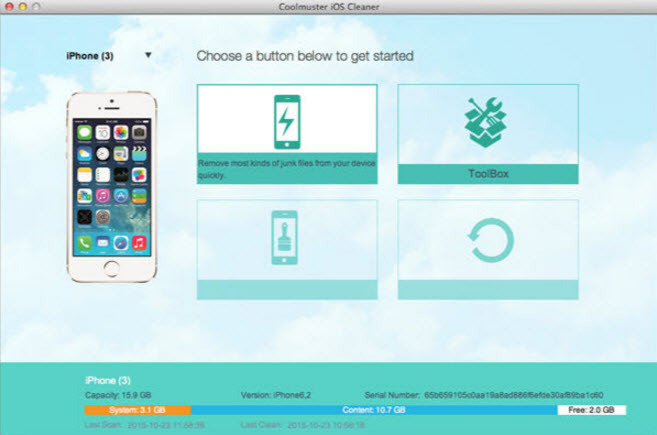 Coolmuster is your trusty data erasing sidekick. It uses an innovative overwriting strategy to ensure that once you restore your iPhone to factory settings, the data becomes unrecoverable and useless for anyone that would make wrong use of it. iTunes is a great tool for iOS devices. However, it cannot guarantee security of your private data when you conduct a factory restore. These iPhone restore tools can however give you the data security you crave.